stunning examples by Gustave Doré, David Jones and Mervyn Peake among others. 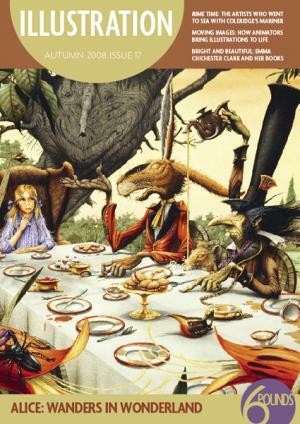 Alice is just one of the many classics illustrated by Michael Foreman, who has travelled to almost as many places as she has and enjoyed equally odd adventures. He shows us his sketch books and explains how they have informed his work. Crossing continents also inspired the work of Polish illustrator Arthur Szyk, whose work is appearing in an exhibition in Berlin. Things took a dark turn for him in the 1930s and much of his later work, created in the US, focused on attacking Nazism and on exploring his Jewish heritage. Closer to home, Emma Chichester Clark discusses her much-loved children’s books and explains why she’s excited about some of her newest projects, while Marc Craste, animator at Studioaka, talks about the challenges of making animated commercials and why he’s enjoyed working on his new film, Varmints.